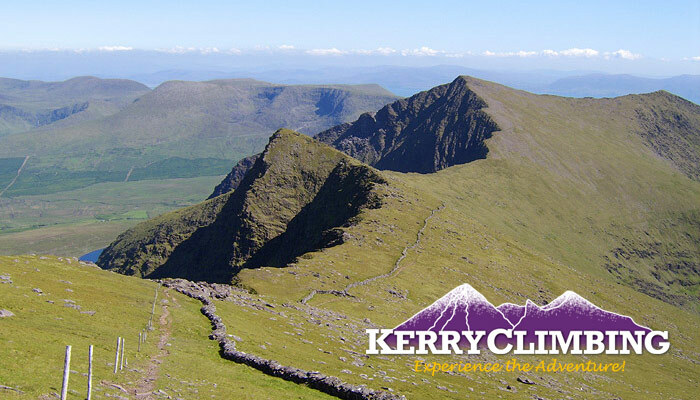 Our pals at Kerry Climbing have put on a great competition to support SARDA’s street collection in Cork tomorrow. Thank you! There’s a fantastic prize to be won – details below. The Search and Rescue Dog Association (Ireland) are doing their annual fund-raising collection in Cork tomorrow (Sat 14th). You will find their collectors, dog handlers and amazing SARDA pooches in the city centre and the main shopping centres of Bishopstown, Douglas Court, Douglas Village, Blackpool and Wilton all day tomorrow. Simply LIKE & SHARE this post and then email us or upload a pic on the KerryClimbing FB page of you dropping some of your hard earned cash into one of their collection boxes at the locations mentioned above and in return YOU will then go into a draw for a free place on one of our exciting guided ascents of Corrán Tuathail ASWELL as receive two cool print artworks of the mountain AND a copy of our new book – MacGillycuddy’s Reeks Winter Climbs!!! Draw will take place on Monday 16th. Either way why not just come and say hi to the handlers and dogs if you’re around and please do give generously and help support the fantastic work they do!